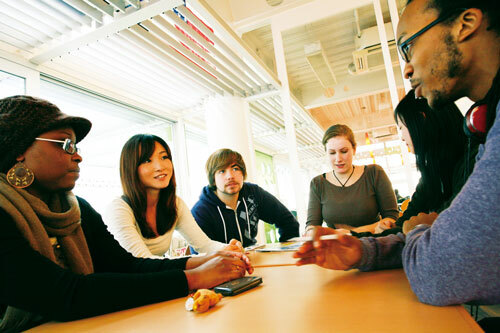 Nagoya University of Foreign Studies (NUFS) is the only university specializing in foreign languages in the Chubu Region. Our programs aim to develop students with genuine international perspectives through a distinctive education system, and we offer small-group teaching, which takes place in groups of three students and a native teacher for all major language courses, so that students can acquire genuine language skills. NUFS, which has more than 300 foreign teachers and students from all over the world, has an international campus that is integrated in the following five domains: study abroad programs; active learning; native speakers; career support; and an international campus.